The car companies have always been eager to target Super Bowls to promote their new cars. 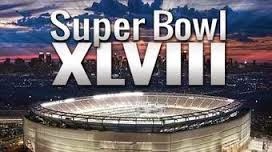 This year, when the Super Bowl 2014 kicks off on February 2, 2014, we will also see a number of cars manufacturing, promoting their new cars as well through Super Bowl 2014 ads. We were already expecting big names such as GM, KIA, Hyundai and many more. These car companies have been airing their round the year, but they give high priority as well. Hence, paying $4 million per 30 seconds is not a big deal to them at all. Rather, these companies are now competing against each others to come up with the best Super Bowl 2014 ads. However, it is the spectators who will get the most out of it at the half time. While we have found a number of Super Bowl 2014 ads really interesting, one particular ad of GM grabbed our attention with its unique features. Among those, the game fans with an enthusiasm for cars will surely love this Chevrolet Super Bowl 2014 Ad from GM which seems like a sci-fi action movie. This ad is all about their all-new Corvette Stingray which is a really exciting car. The whole ad is based in a dream sequence where the owner of this car gets to do some amazing racing stuff and goes for a competition with an airship that might be probably from alien one. It is really action so much engaging that people won’t be able to take their eyes of the ad. The loyal fans of GM have been waiting for this ad as GM skipped Super Bowl 2013 last time. But this time, GM has made a big bang with their Chevrolet Super Bowl 2014 Ads which is being aired in different platform and it has got an impressive number of hits or views already. This super cool Corvette Stingray ad is called "Showdown" and you will surely get to see this in the middle of the Super Bowl 2014 game. The management at General Motors is really excited about this ad and they are expecting that the Chevy brand will make a big splash with the introduction of the all-new Corvette Stingray. Although many other people are saying that the ad is too fast, the experts and car fanatics are going crazy with this ad already. According to experts, the advertisement from GM is really striking and grabs the attention as well. But it doesn’t elaborate about the car itself, which might be a weakness of this advertisement as well. However, the fans will surely enjoy this action packed advertisement when they some spare time at the half time.